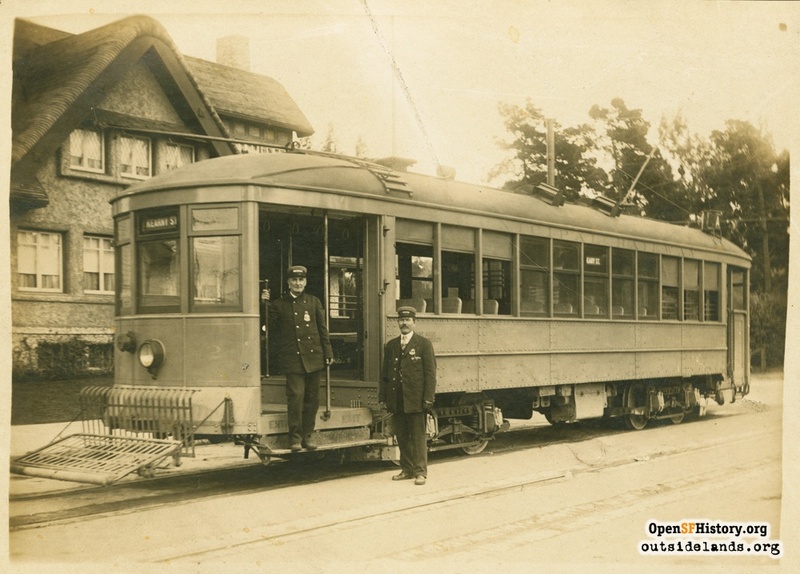 The above photo shows Car 101 at the terminus of Tenth Avenue and Fulton Street, December 1917. 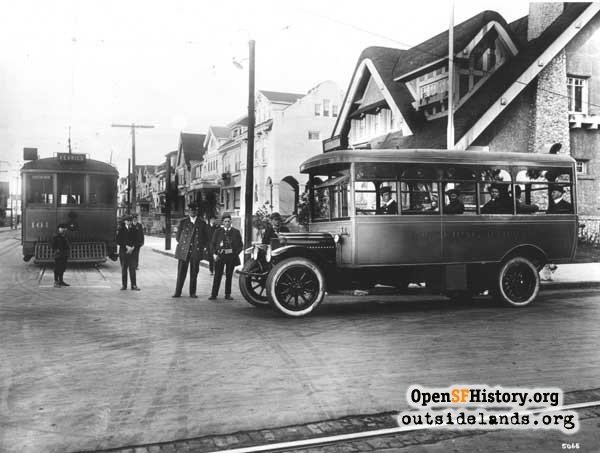 The "1 Park" bus in the photo traveled from the A-line terminus as a shuttle through Golden Gate Park to the Sunset District. The house behind the bus, 798 Tenth Avenue, built by Fernando Nelson's company, stands mostly unchanged today. 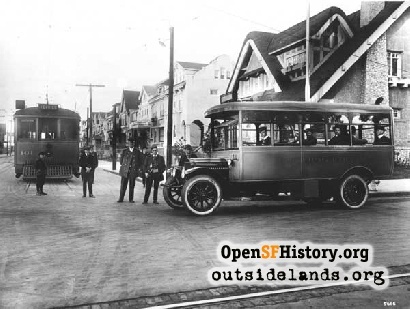 Route: From the Ferry Building (eventually, after the line was extended east from Kearny in 1913) to Tenth Avenue and Fulton Street, via Market, Geary, and Tenth Avenue. Rail service end: December 5, 1932. 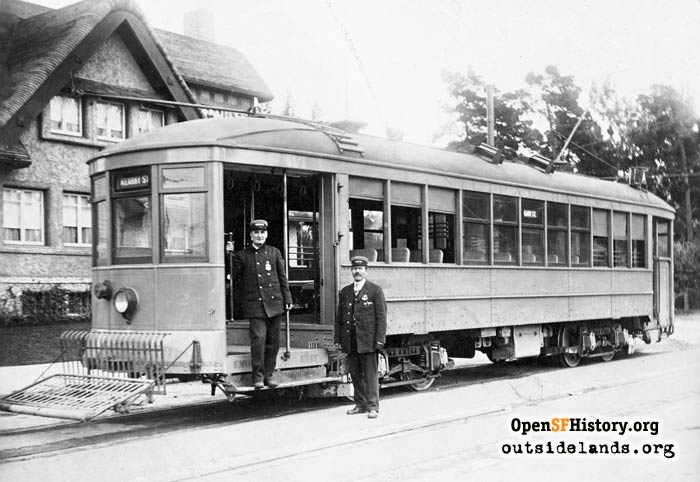 Municipal Railway car #2 on the A-line at 10th Avenue and Fulton Street in 1913., 1913 - Courtesy of Emiliano Echeverria. Sources: Jack Tillmany; John Coll; The People's Railway, Anthony Perles, Interurban Press, 1981; Inside MUNI, John McKane and Anthony Perles, Interurban Press, 1982. Page launched 22 May 2002; updated 30 July 2012.